Rio Lounge are often contacted by event planners who are looking to hire stylish, boutique furniture for an upcoming event and we’ve worked with some of the best. 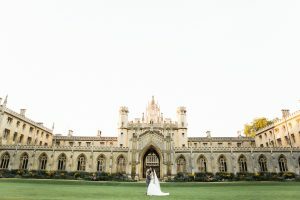 Take Katrina Otter for example – a Cambridgeshire based wedding planner and event organiser who offers clients a bespoke planning service in the run up to their big day. If you’ve always wondered what it’s like working in the events industry or are in need of some top tips from an industry expert, look no further than our interview with Katrina. What’s it like working in the events industry? Why do you think it’s important to hire a wedding planner? 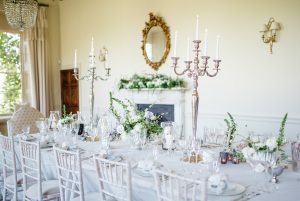 If you want to know the ins and outs of hiring a wedding planner, check out Katrina’s feature ‘Hiring a Wedding Planner – Who, What, Why, When & Where’. 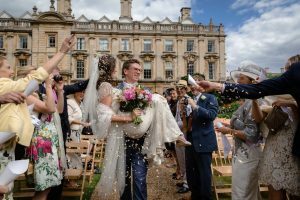 What is the key to pulling off a truly magical wedding/event? How do you create a unique client/guest experience every time? Do you ever use the same idea more than once? Others won’t have as clear an idea – that’s where a wedding planner comes into play, to tease these ideas out. Couples may also prefer to stick with the latest trends. See the Coco Wedding Venues blog for Katrina’s 2017 wedding trend predictions. For Katrina, this varies from client to client. Some couples come to her with physical mood boards, boxes of samples, or Pinterest boards. It’s a wedding planner’s job to then work with suppliers to bring these ideas (where practical) to life. For those couples who are open to suggestions, it’s a case of looking through magazines, sharing images, talking about likes and just as importantly, dislikes. Katrina has been working with Rio Lounge for the last two years after meeting Jo (Rio Lounge’s director) at a wedding exhibition. Initially, Katrina used our giant, light-up wedding letters at an event in Cambridge and she’s been hiring our chic and stylish range of furniture ever since. Do you have a list of essential tools needed before you begin a job? What criteria would you look for in a venue? How do you go about finding/selecting an event space? 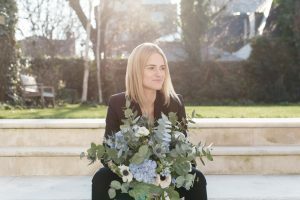 Around 50% of Katrina’s couples come to her with a venue in mind, but for the other 50%, it’s a case of using questionnaires to coax information out of her couples and then gradually narrowing down the options available. 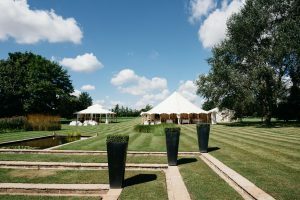 In the past you’ve planned weddings in stately homes, country estates, renovated barns and marquees. Are there any pros/cons of the above? Would you prefer your venue to be indoors or out? Why? How do you deal with British weather at an outdoor event? What is your favourite season to host an event in? Why? 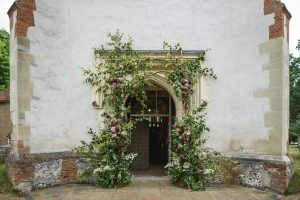 Autumnal weddings are a favourite for Katrina, purely because of the colours and set-up – plumb and berry tones, an abundance of foliage, candles and glorious sunsets. Events involve people, weather and technology: three things that have a mind of their own. Have any disasters occurred during/in the run up to an event? How do you deal with time constraints? Realistically, how long should you be giving yourself to plan an event? Katrina usually starts planning a wedding a year in advance but she’s planned weddings in the past within just 10 weeks. To find out more about Katrina and her bespoke wedding planning service, check out the Katrina Otter website.